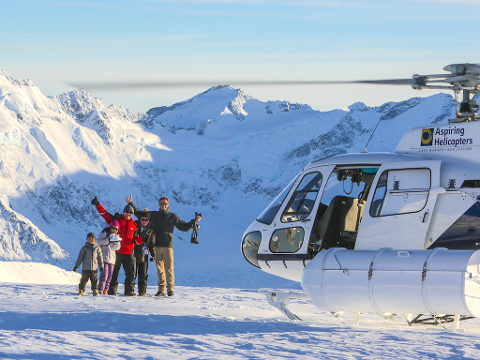 Fly between towering mountain peaks and above deep glacial carved valleys. See the stunning blue ice and crevasses formed thousands of years ago. 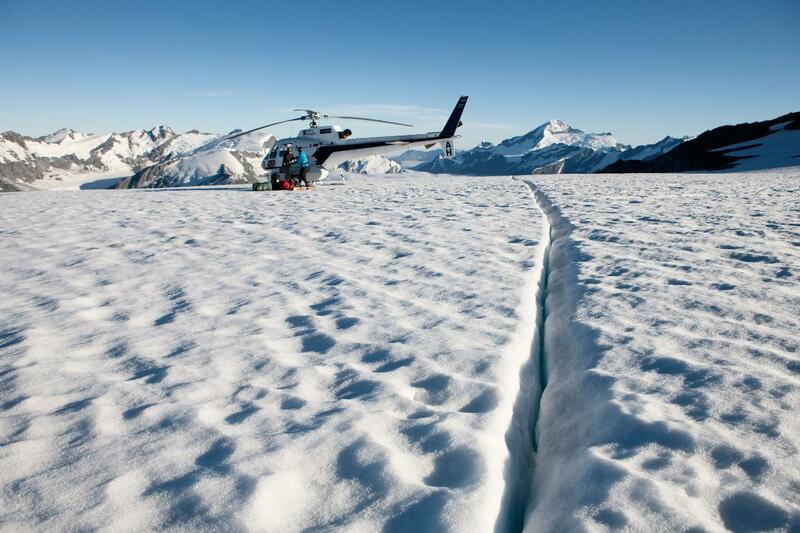 One 10min remote glacier/snow landing.